The Stella Luna brand was born in 2006, is the result of a unique combination of ingredients; a family with generations of manufacturing and craftsmanship experience; a European design team, a reliance on the best of Italian leathers and a founder trained in engineering and design. Stephen Chi the founder and CEO of Stella Luna and Capucine Safyurtlu the creative director bring you beautiful shoes from embellished flats, to gold heeled dancing shoes … something out of the ordinary. The Stella Sliders from Stella Luna are a now-coveted style that looks set to stay, and are equally super-comfy and eye-catching. 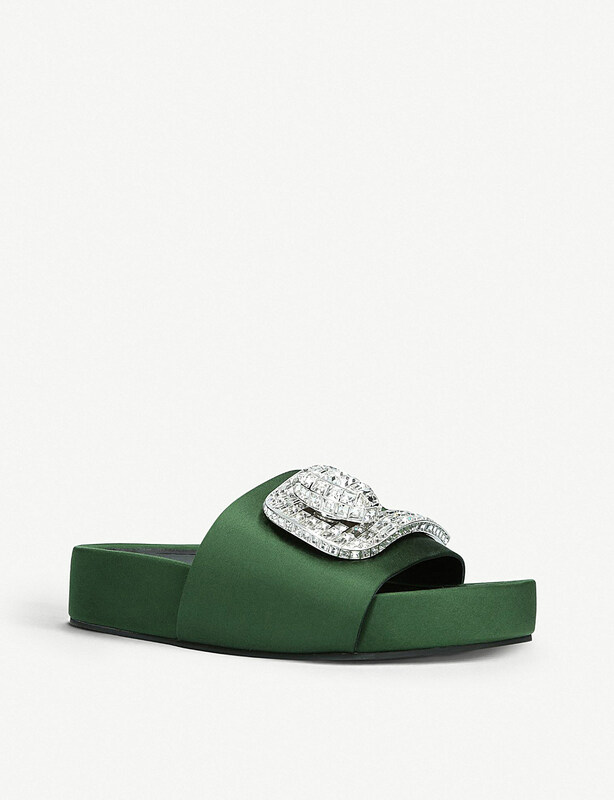 Doing what the brand does best, this style experiments with contrasts – clock the OTT glistening crystal-encrusted embellishment juxtaposed with the decidedly minimalist shape. Made from smooth high-octane satin, this sleek pair is perfect for long, blissful walks during resort holidays or relaxing on sun-drenched terraces. 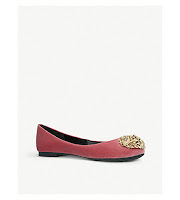 We can’t help but feel swept away by how Stella Luna manages to complement sumptuous fabrics with quirky details –take these ballet pumps. Covered in rich velvet, this pair is pleasingly simple but thanks to the golden brooch that sits at the front they catch your eye – zoom in to note the set of brilliant beads that sit throughout, scattered like buds in a bouquet of flowers. Trust Italian label Stella Luna to find a way to make your favourite patent leather that little more refined with these Indispensable 105 pumps. 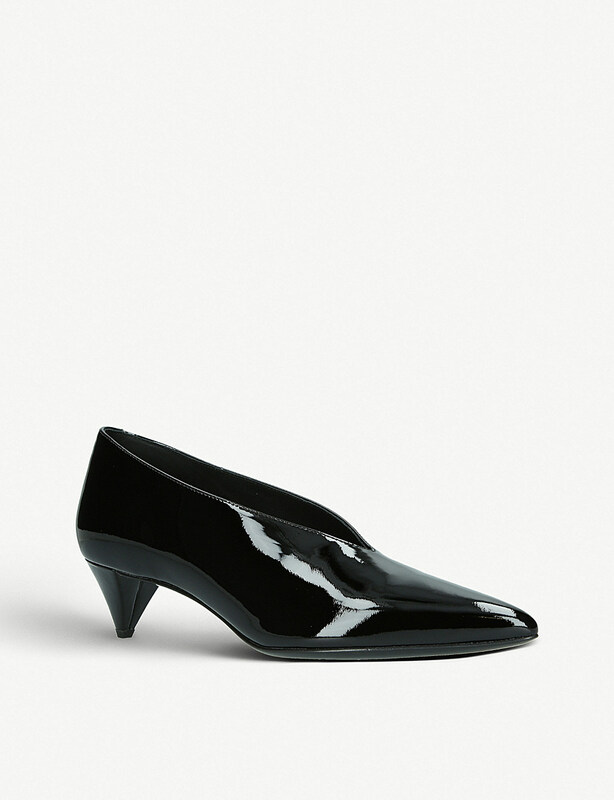 Sculpted with a sleek slender silhouette, they’re sharply cut and detailed with a conical heel that showcases the brand’s penchant for architectural designs. Style them prim with a white fit-and-flare dress and a cropped blazer. 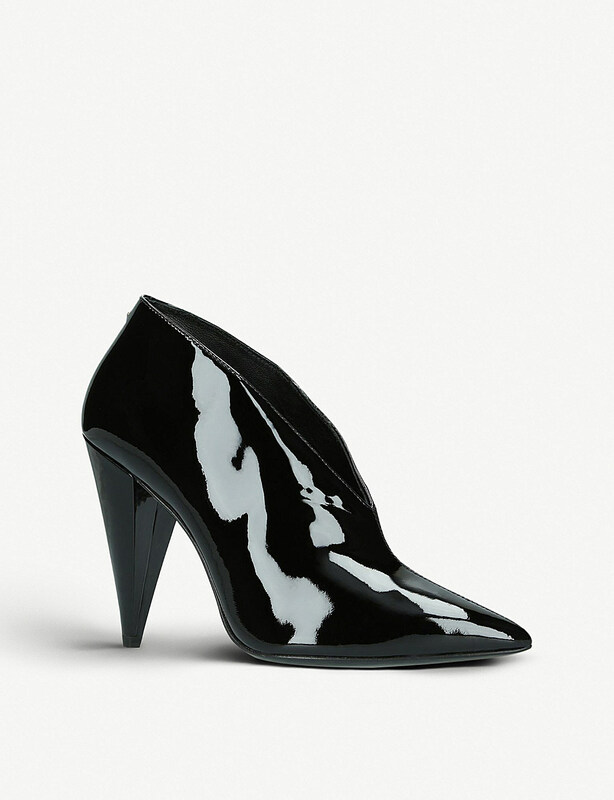 Trust Italian label Stella Luna to find a way to make your favourite patent leather that little more refined with these Indispensable 45 pumps. Sculpted with a sleek slender silhouette, they’re sharply cut and detailed with a conical heel that showcases the brand’s penchant for architectural designs. 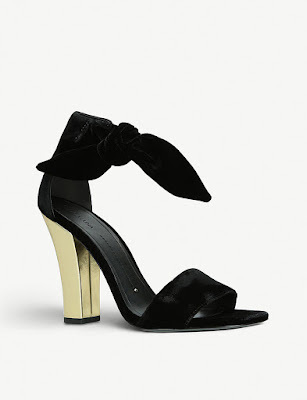 If you’re not a fan of fancy, but you love the pretty shapes and sumptuous fabrics synonymous with Stella Luna, then rejoice – the Bianca 105 sandals just so happen to be a good combination of the two. 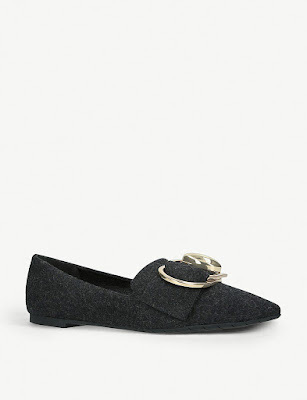 Crafted from velvet, this pair is defined by an ankle strap that’s tied in a bow – endlessly flattering and effortless to style. A metallic block heel offsets any pristine vibes so you can wear them with a biker jacket and look a bit badass. Stella Luna was founded in 2006 using generations of craftsmanship experience and showcasing only the most luxurious of materials. Creative Director Capucine Safyurtlu makes statement accents the focal point for its footwear, as shown with the oversized double ring detail that embellishes these loafers. Rendered in tactile felt and shaped to a sharply pointed toe, this pair will put a contemporary spin on tailored ensembles.